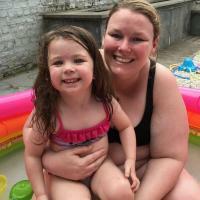 Ik ben een 24-jarige studente boekhouding/werkende die ervaring heeft met het babysitten. Ik ben vaak beschikbaar. Ik werk op een school, en stop dus om 15u30, woensdag om 12u. Lies is a very sweet and reliable babysitter. We are very glad to have found her and our daughter absolutely LOVES the time they get to spend together. I really appreciate how flexible she is with my crazy schedule and how she often sends pictures and updates so I never have to worry and I know my little one is having a fun time.